Katy Perry’s latest music video. 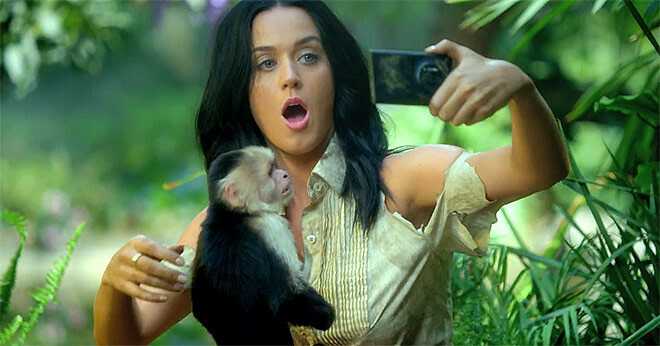 ROAR has just been released and she is seen using the Nokia Lumia 1020 to take photos of herself and her pet monkey in the jungle. The Lumia 1020 was first seen at the beginning of the video when she and her male friend came out from the crash landed plane and the friend was using it to take selfies. Then towards the end [3:38] she was using it to take photos and viewing them with her per monkey. Watch the music video below to spot them!